Religious institutions in the name of mutts appeared mostly in and around temples. A careful analysis of the inscriptional data of Thiruchirappalli district between C.E. 600 – 1300 highlights their appearance mostly during the later Chola period. There is only one record available from the early Chola corpus that mentions a mutt at Isanamanglam of Uraiyur kurram. Most of the mutts of this district were established by common individuals. Only two were found by the royal household of the Hoysalas. In general these institutions provided food and shelter for the devotees of their own sect. Land provided by donors as tax-free property helped to manage the daily day expenses. Though it is not clear from the inscriptions whether these mutts were involved in any educative programmes, it may be presumed from the records of other places that reading Puranas and Epics was one among their activities. A record of Parakesari from Thiruchchendurai by mentioning ‘madatthil chatta perumakkal’ indirectly refers to the study and recitation of Vedas in some of the mutts. Jambukesvaram of Thiruvanaikkoyil is a popular and ancient saivaite temple of this district. It was a celebrated religious centre from the earlier centuries and hence several institutions cropped up in and around the temple. A record of Kulottunga III throws light on Narpattennayiravan madam established by Cholakon of Avur on the northern side of Jambukesvaram. A land was gifted as madappura iraiyili to meet out the expenses incurred towards feeding tapasvins (ascetics) at the mutt. It is mentioned in the inscription that this institution was established for the disciples of Namasivaya Devar of Gnanasambandar madam at Tiruchchattimurram. It is understood from the twenty first regnal year inscription of Rajaraja III that gift of land in Karumankurai alias Parakesarimangalam, a hamlet of Uttamasili chaturvedimangalam was made to feed mahesvaras in the Thirugnanasambandan thirumadam of this place. 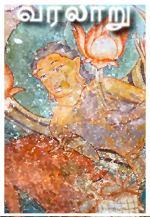 Andar Embiranar madam of the same village which belonged to the lineage of Senbaikudi muthaliyar is brought to light by a record of Rajendrachola III copied from Adimulesvara temple at Thiruppalaitturai. A gift of land was made to this establishment towards its maintenance. A record of Virasomesvara registers exemption of taxes granted by the king on the land endowed by Avvai Somala Mahadevi, aunt of the king and the daughter of Ballala II to the Sangamadevar madam at Thiruvanaikkoyil. A royal order of Viraramanathadeva copied from Jambukesvaram reveals the establishment of a mutt by the king himself to Tharpurusha Sivacharyar of Srilakshadhyayi Muthaliyar Sandanam and the gift of land at Puliyankudi as madappura iraiyili towards its upkeep. This was known as Naduvil madam. It is interesting to note that the same madam had a branch at Kilaiyur of Nagapattinam and a record of Arunachalesvara temple mentions that it was connected with the mutt of Patanjalidevar situated in Melaicheri of Perumbarrapuliyur. Somanathadevar matha and Akasavasiayyakal matha appeared as new religious institutions during the fag end of the later Chola period and served the thapasvins of Thiruvanaikkoyil. An official by name Thiruchirappalli muthaliyar had gifted a village Kumaramangalam to the Jiyar Visvesvara Sivacharyar who was the chief pontiff of the Akilandanayaki madam that existed at Thiruvanaikkoyil during the reign of Rajaraja III. A royal order was sent to the administrative bodies of Konadu instructing them to remit all the taxes due on the village. Several records of different periods from the Renganatha temple at Srirangam highlight the appearance of Vaishnavite mutts in and around the village. Thirunadudaiya Nambi madam and Kidarankondan madam are mentioned in an inscription of Kulottunga I. Madurantakadevan madam mentioned in the fifteenth regnal year inscription of Kulottunga I provided food for the Srivaishnavas. The expenses were met out from the produce received from Madurantakadeva vilagam gifted by Rajarajan Madurantakan alias Vatsarajan. Sundara Pandyan madam was established at Srirangam by Varantaruvan Eduttakai Alakiyan alias Pallavarayar towards the well being of the king. Alakiya Perumal Sundara Pandya Kalingarayar constructed Avanivendaraman madam at the western wing of the northern side of Vikaramacholan thiruvidi in Srirangam. Sundara Pandya II in whose name the mutt was created gifted 2,000 kalam of paddy and 163 pon as madapuram to feed Srivaishnavas at the mutt. A land allocated at Anbil for this purpose provided the above said paddy and gold through its produce. Thiruchchattimurrattu Muthaliyar kani madam was established in the south street near the Siva temple at Anbil. Since it is mentioned only as a boundary of a gifted land its activities are not known. A madam named after Kulottunga Chola was present at Uyyakkondan Thirumalai. Karpagavalli madam was a noted Vaishnavite establishment at Thiruvellarai and had feeding programmes supported by land endowments. Paranjothi madam, noted in a record from Thirumangalam was a Saivite institution and it supported temple activities. A royal letter from Rajadhiraja I refers to Sthana madam at Thiruvadakudi Mahadevar temple at Andavanallur and records an allotment of thuni measure of paddy every day as madabhogam. An analysis of the inscriptions of the prescribed period throws light on 411 villages that prevailed in this district. It is interesting to note that only eight out of them had mutts of both saivite and vaishnavite orders. Among them Thiruvanaikkoyil stands first in having eight mutts and Srirangam follows next by having five. Anbil, Thirumangalam, Thiruvellarai, Andavanallur, Isanamangalam and Uyyakkondan Thirumalai had each one mutt. Two of the nineteen mutts appear to be branches of popular institutions that had their headquarters at Thiruchchattimurram near Pattisvaram.